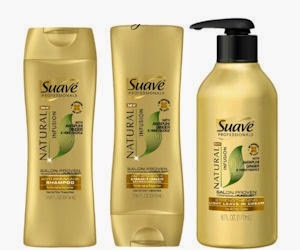 411 Freebies And More: 1st 400,000 Free Suave Professionals Natural Infusion Haircare! 1st 400,000 Free Suave Professionals Natural Infusion Haircare! The 1st 400,000 to sign up get a FREE sample of Suave Professionals Natural Infusion with Awapuhi Ginger Shampoo, Conditioner and Leave-In Cream sample! Complete the form and once you submit you can also send a free sample to a friend!